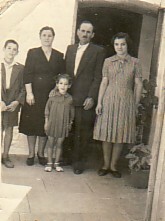 Above: With my parents, Maria and Panagiotis, and my siblings, Georgios and Hariklia. I am in the middle. Above Right: My parents ith horianoi. 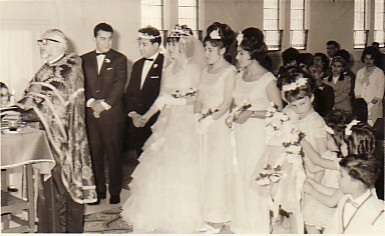 L-R: Stelios and his two daughters; my parents, Maria and Panagiotis; and Ignatios. 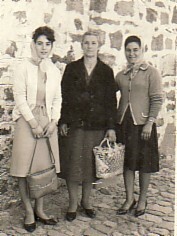 Above: With my mother, Maria (middle) and Maria Komnorokis. Above Right: This photograph was taken outside our Church, in the last days before migation. 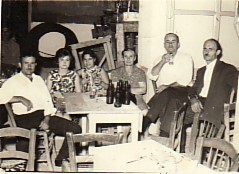 L-R: my brother-in-law, Ignatios, and my sister, Hariklia; my parents, Panagiotis and Maria; myself; and Maria and Vasos Gelagotis. Above: With my husband, Efstratios, on our wedding day. Above Right: Excursion to Sorrento. 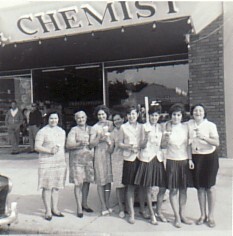 I am second from the right, while first from the right is Elsie Koutselli. 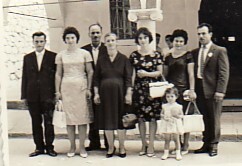 Second from the left is my mother-in-law, Evangelia Kanmeroki.